Wildlife footage is probably the best thing that came out of the existence of drones so far. Here are my favourite whale videos so far. A little bit off topic, but not massively so. 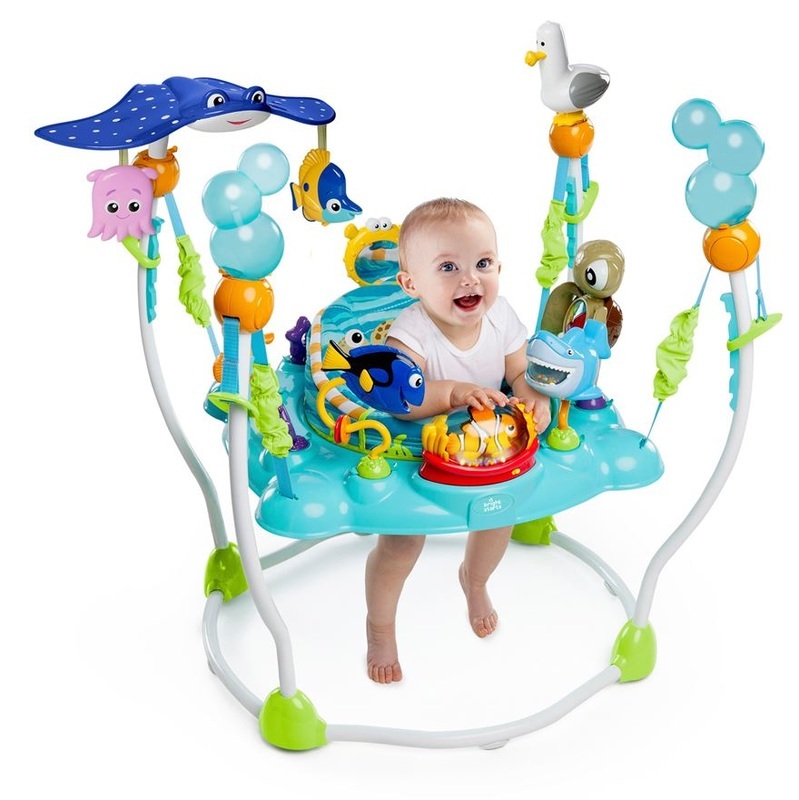 We have started our Christmas shopping and I thought it would be fun to find underwater / scuba themed gifts for the kids in our family and friendship circle. Here are my ideas so far, posted in ascending order of age. 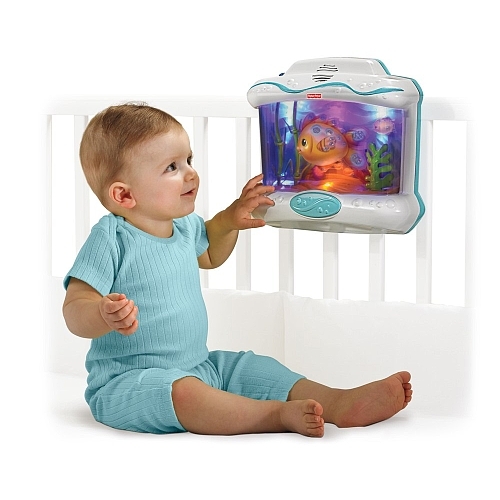 It's a bit pricey, but this Finding Nemo baby swing seat does deliver a full underwater themed experience. One for the grand kids when we get them! 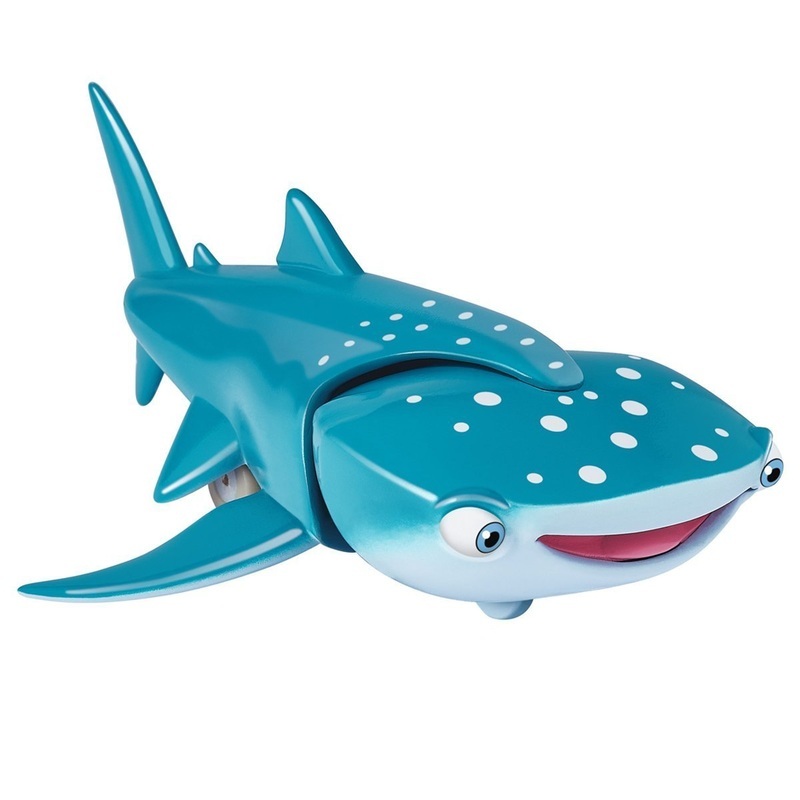 Still for the younger ones, after the success of Disney's finding Dory there are lots of fish figurines swimming around out there. 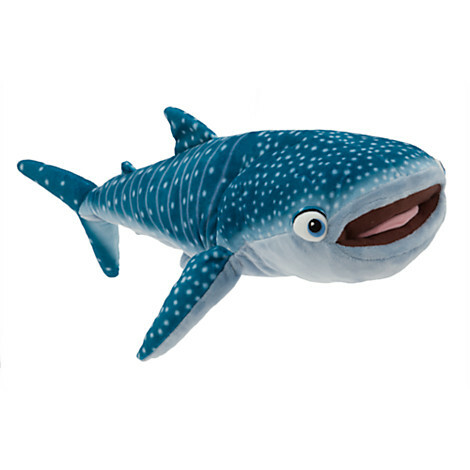 I especially like Destiny the whale shark, available as a "swimming" plastic toy or a soft toy. As the kids get older, you start to get a lot more options. 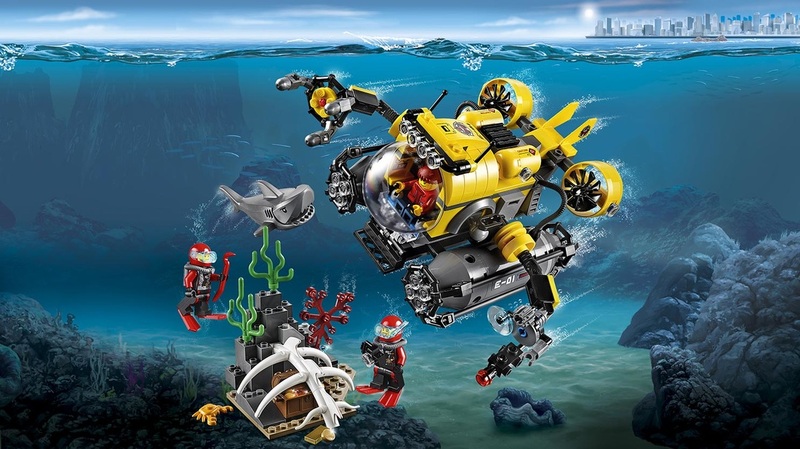 The Lego City underwater explorer sets are pretty great. 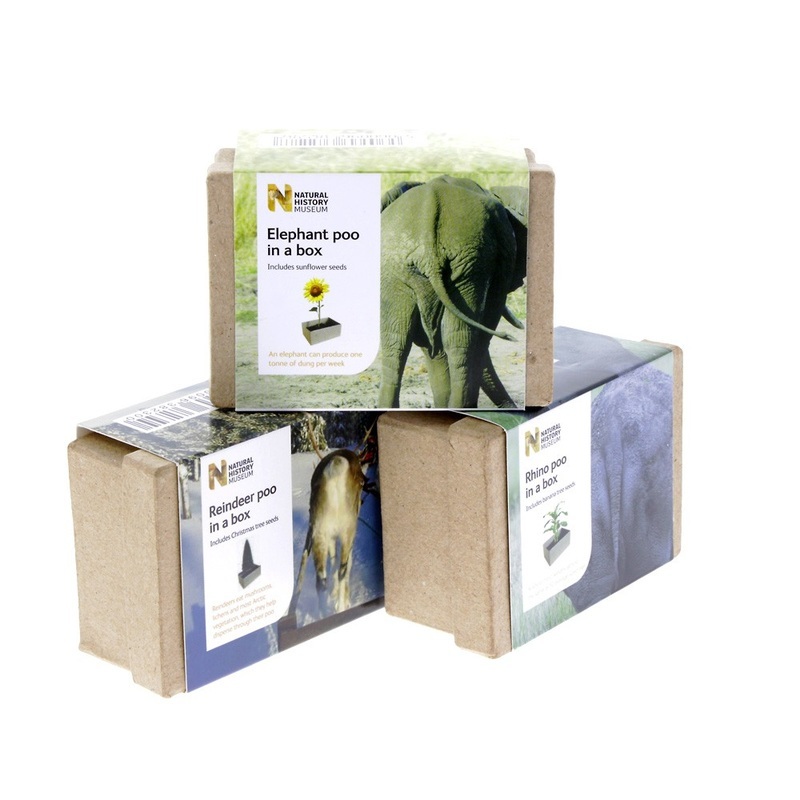 London's Natural History Museum sells reindeer poo, elephant poo or rhino poo in a box. You decide whether this is fun or a backhanded compliment. , This week TripAdvisor have announced that they will no longer sell tickets to attractions that allow tourists to come into physical contact with wild animals. This must be good news, but I wonder if there's less to this than the fanfare would make you believe. Firstly, let me clarify that this is a move in the right direction. Cracking down on anything that leads to the abuse and exploitation of wild animals is a good idea. Not only is this very bad for the animals, but it could also be potentially dangerous for the humans involved. But what does the change actually amount to? You won't be able to book anything that involves touching wildlife on TripAdvisor. Great, how many people book these things through TripAdvisor? I guess it isn't their core sales, otherwise they wouldn't be putting a stop to it! All they say is that's "it's not a huge revenue loss". Will these attractions still be listed in TripAdvisor? We aren't told. How about attractions that involve abuse but no touching? Is it ok to watch a monkey riding a bike as long as I'm not touching it? TripAdvisor isn't telling us - yet. So yes, it's a good first step, but we aren't quite where we should be yet. That said a hundred years ago people were still exhibited in freakshows. All of which reminds me I should write a post about the dos and don'ts of whale shark excursions. I am a bit of a masochist and don't mind flying long haul. I like tropical diving (with sharks of course) so I travel a fair bit to Asia for holidays. I was going to make this a top 5 Asian dive spots post at first, but had trouble deciding what my favorite was in the Philippines, so I decided to do a whole separate post on that country. Possibly the best-known single dive location in Asia, Sipadan is an island off the Malaysian part of Borneo. In the good old days, visitors used to be able to stay on the island itself. Due to a large influx of divers, however, accommodation was moved off to nearby Mabul and now only a limited number of dive-boats are allowed onto the site each day. That means that during a week's visit you will probably dive here about two days. Sipadan is a beautiful dive site, but is it really worth the hype? Probably not. A stand-out photo opportunity is the giant shoal of barracudas cruising around. There are also turtles everywhere you look. Actually, there is a lot to see everywhere you look. ​How about the rest of your stay, on Mabul island? Given the high demand and despite inflated prices the accommodation and food here is of rather questionable quality. The diving around Mabul is ok, but just that. Most of it is 'muck diving': staring into limited visibility to see how many nudibranches you can spot. After the four days you'll spend marooned here while waiting for your chance to go to Sipadan you'll have had more than enough of the place. Which is why this only comes in at number 4. The Similan islands are rich in both small and large animals. 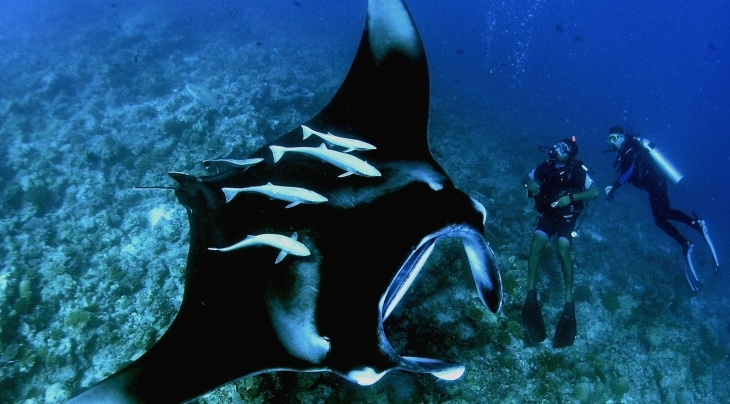 Count on manta rays and if you are very very lucky, maybe a whale shark. We also saw a huge number of different types of cuttle fish. While diving here is definitely tropical, there are many thermoclines, around which the water can feel decidedly cold. ​The Similan islands have a number of advantages: they can be visited over a couple of days, making them perfect as part of a general Thailand trip. Non-diving fellow travellers might find it easier to accompany us on a boat if it's only for two or three nights or they can be left behind at one of the lathe number of hotels in Phuket. Finally, getting to Phuket is usually not that expensive as there are so many flights heading that way. Raja Ampat is an archipelago of over 1500 islands in West Papua, Indonesia. The nest known of these, as far as tourism goes, is Misool. Not that Raja Ampat gets a lot of visitors. And let's just hope it stays this way, attracting those interested in marine and land biology and biodiversity while keeping those who just want to lie on the beach in Bali. 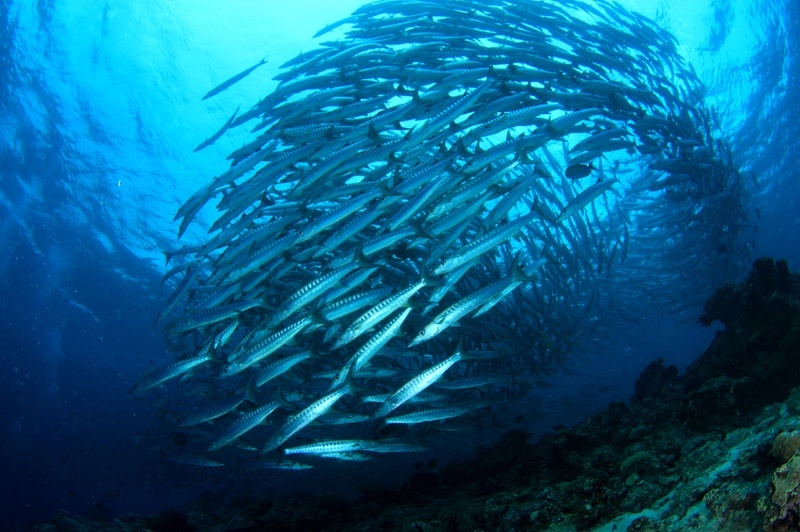 Raja Ampat is at the heart of the so-called coral triangle, an area of staggering biodiversity, especially underwater. Nowhere on earth will you see as many different species of marine life as here. This is truly a diver's paradise. A trip to paradise does not come cheap, however. Mostly accessible only through liveaboard dive boats, a trip will set you back thousands of dollars even without the cost of getting there. You can stay on land at a handful of small resorts, but as it is just as expensive, why would you? But is it worth it? You bet! The good news is that the Indonesian government appears to be genuinelly dedicated to preserve this area. Cost and difficulty of access is why this only comes in at number 2. #1: Maldives, the whole country! Easily accessible and amazing: that's Maldives diving. It has a reputation for being a country of pricey resorts, but in fact there are plenty of cheaper establishments which cater excellently for divers. 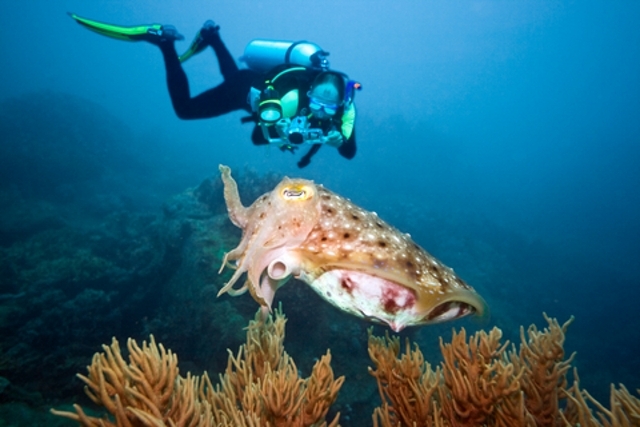 Or you can take a live-aboard cruise allowing you to access a wider variety of dive sites. Each resort is its own island and food and drink can be expensive, so choose carefully. This is one place where an all-inclusive package is not a mistake to buy. Also, most dive shops have good 'non-stop' one or two week diving packages, allowing you to dive as much as you want to or can. ​The main season as far as most tourists go is the dry season, but while visibility is amazing at the time, the lack of nutrients will mean that there is not much around, especially when it comes to big things like manta rays. The cheaper off season is rainy, but underwater it never rains (right?) and this is the time to fully enjoy the consistently high quality of Maldivian dive sites. The main advantage of the Maldives is that while you can find dive sites which are just as amazing elsewhere, you cannot find anywhere else where every dive site is amazing. Most places will have one or two standouts and for the rest of the time you will be consigned to mediocrity. Not so here. And on top of that you will get to enjoy your land time as well, relaxing on the beach, sitting in the bar or getting a massage. Plus the Maldives also has plenty to offer to non-diving partners and snorkellers. Which is why it has made it all the way to number 1. The Atlantic White Shark conservation project also do a sterling jov with conservation and education. They even have an app, Sharktivity, that tells you about sightings so shark and men can keep out of each other's way. It's a small island to the north of Cebu in the Philippines. Why do you care? Because diving with Thresher Sharks. About 20 mins boat ride from the island is Monad Shoal, a Thresher shark cleaning station where you are almost guaranteed to see these great majestic beauties. Slight catch: you do need to go at about 5:00am to see them. But man is it worth it. Don't believe me? Check out this video. The dives go like this. After getting up early (ouch) and motoring to the dive site, you will descend with a guide and small group to about 25 - 30 meters where your guide will look for the Threshers. If you are lucky you will kneel there in the sand while they circle around you. It is truly beautiful! Nitrox is highly recommended for these dives, because you'll eat up your no-deco time quickly sitting at 30m on air. And you want to maximise your time with these guys. Need some new gear? Check out JustLooking for some good deals on gear. Plan on doing 3 or 4 of these early morning trips on your visit. ​Also worth noting: the food on this island is awesome!